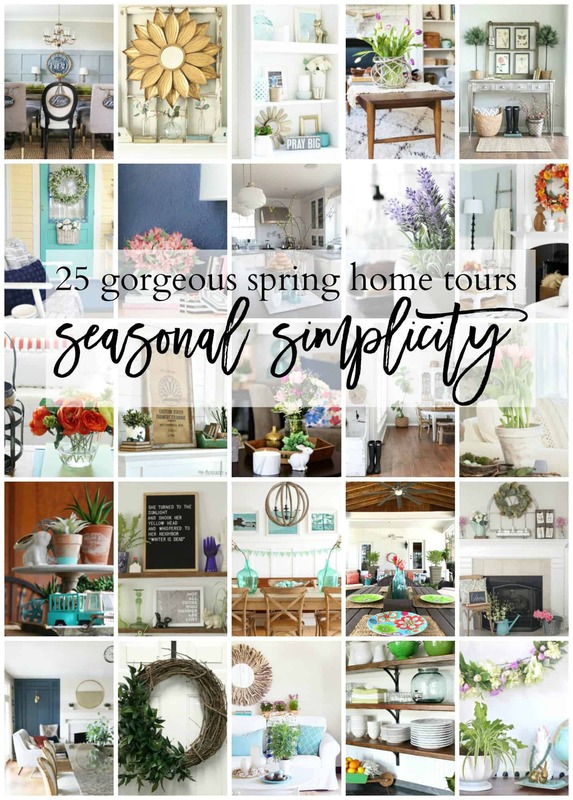 Tour: Seasonal Simplicity Home Tour for Spring time of 2017. 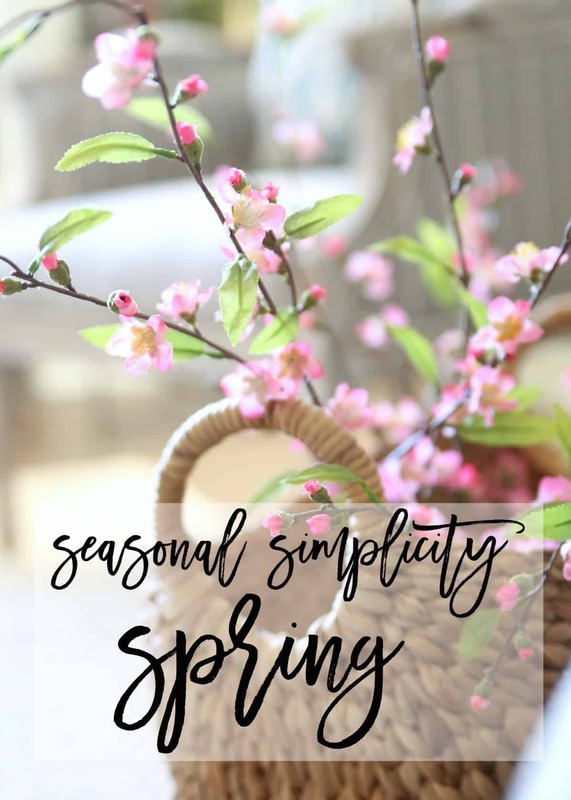 Welcome to my SEASONAL SIMPLICITY SPRING HOME TOUR. If you are coming from Simplicity in the South, Welcome! 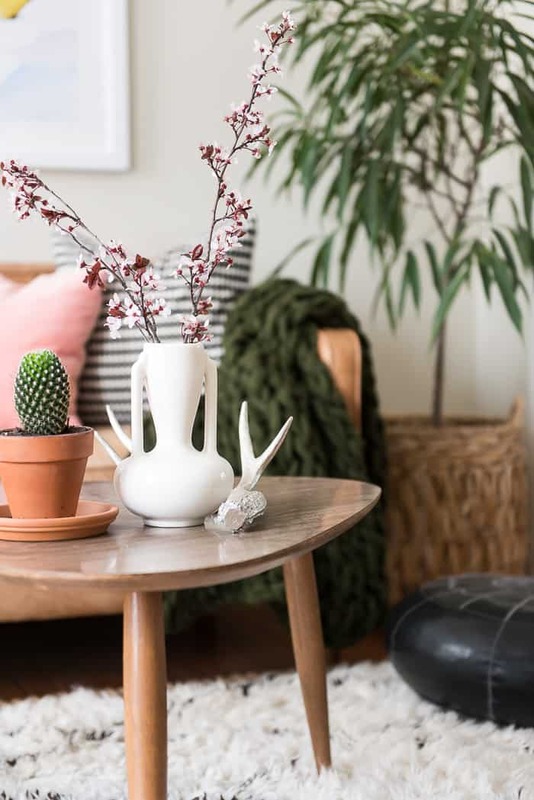 This lovely Spring home tour blog hop is hosted by The Happy Housie and House by Hoff; they are both super talented gals, their homes are a must see! 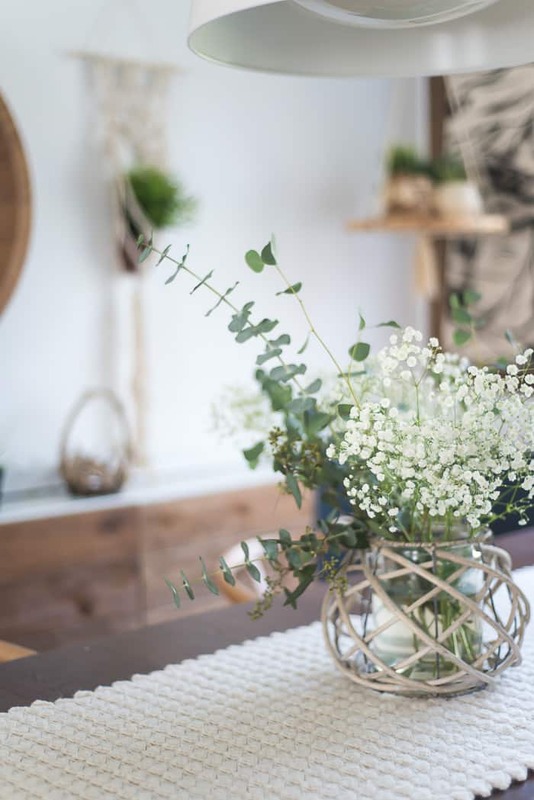 This Spring I kept my home decor simple and fun. 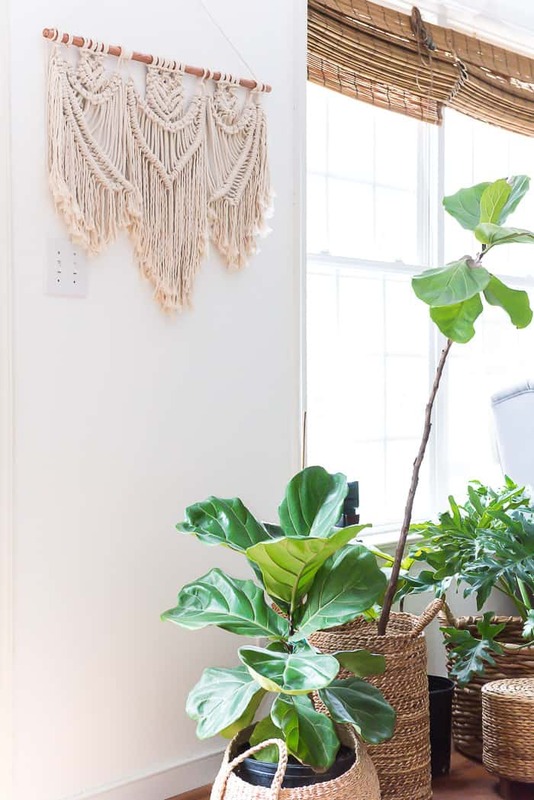 Adding a few new macrame pieces (my newest hobby), some fresh art pieces alone brought the Spring feel into my home. 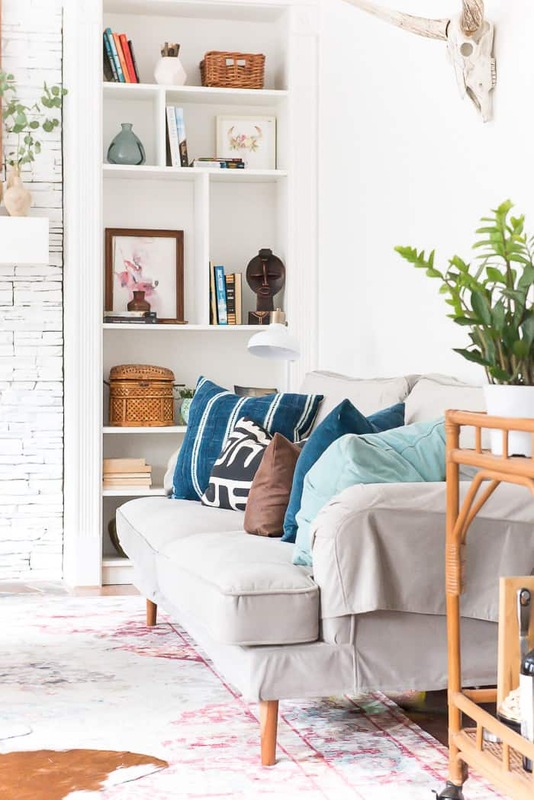 I also swapped out rugs ( no, I didn’t buy new ones… I typically drag them from one room to another ) to freshen up my spaces, and changing these few key elements created a whole new vibe in the house. 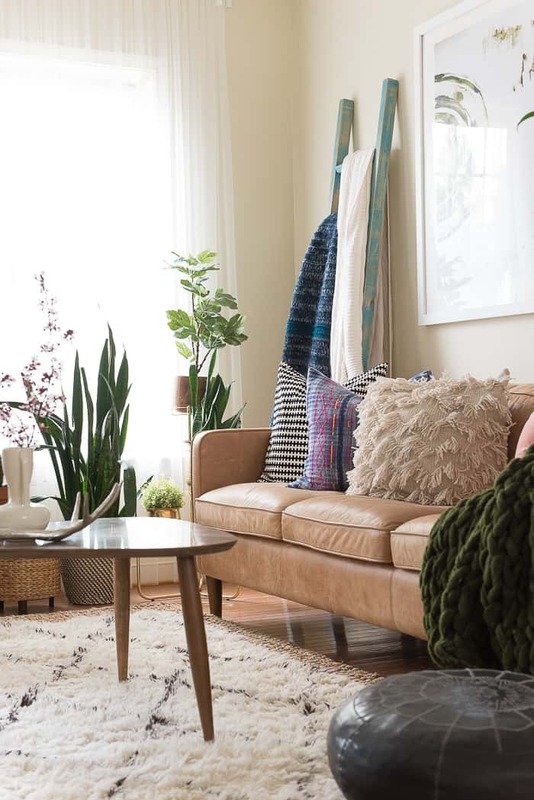 My home now is cohesive enough that pulling a rug from another room works well in most cases. 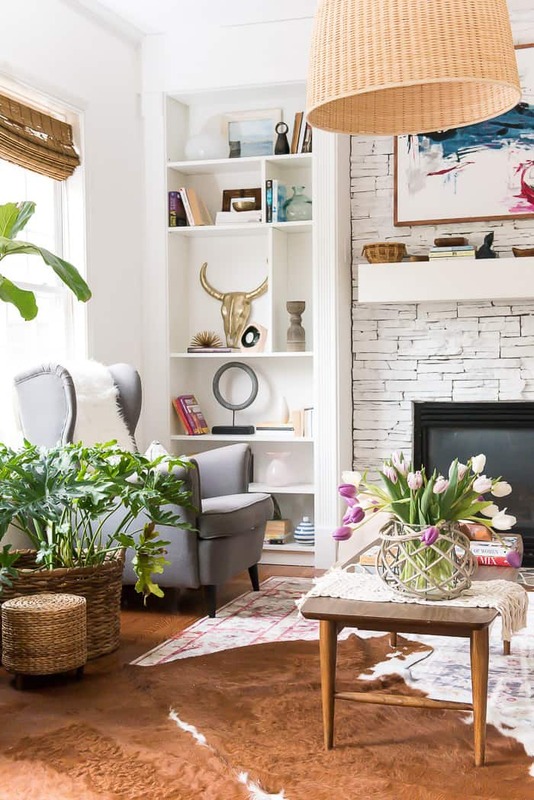 For this home tour, I only photographed the downstairs as the upstairs just simply wasn’t picture ready haha. It never is. Especially the boy’s room. But I guess that’s the way it should be, right? 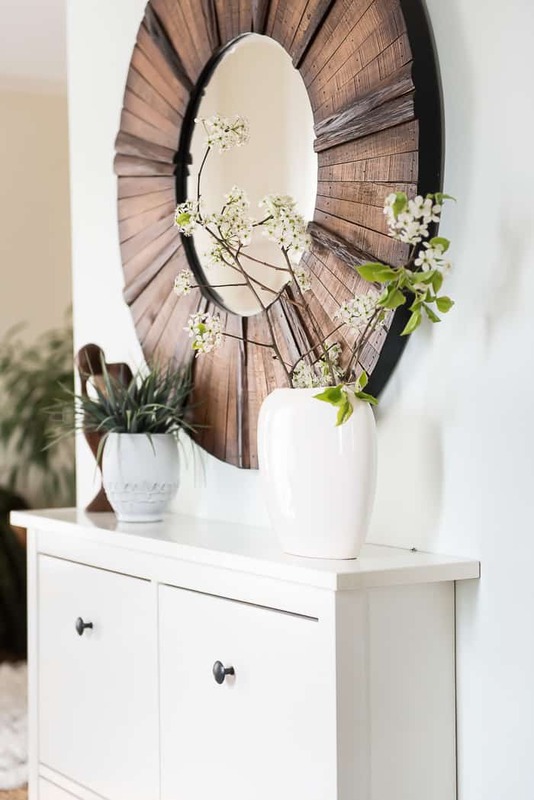 In my entryway I like to display green branches, flowers and I try to keep the top of that shoe cabinet clutter free. My living room had a few different seasonal looks already (furniture arrangement always stays, there is not much to change). This time around I painted a couple of art pieces, and I mixed and matched some pillows that I already had handy. 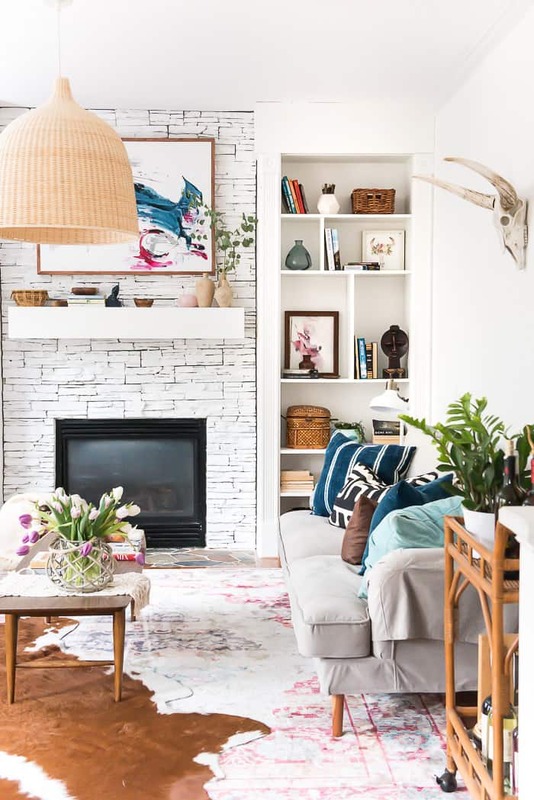 After Christmas, I pulled my cowhide rug to this room but now the Moroccan Shag rug is back, and I love it as much as I loved it in here when I bought it. I painted some colorful art pieces, they are available in the shop, HAPPY DAY and GREEN DRIP and I think those alone set the ‘Spring” vibe in here. The idea was to add those colorful art pieces to compensate the pink touches in the Hmong pillow and the green in my arm knit blanket. 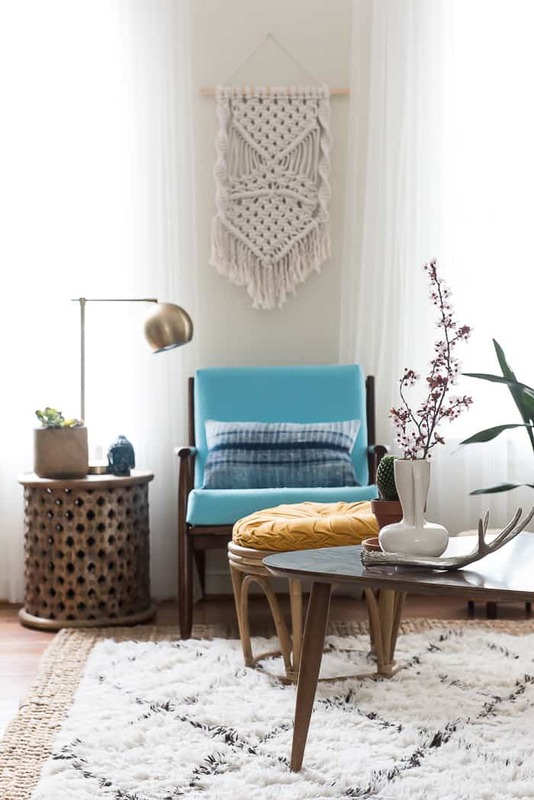 Do you spot that pretty macrame here? 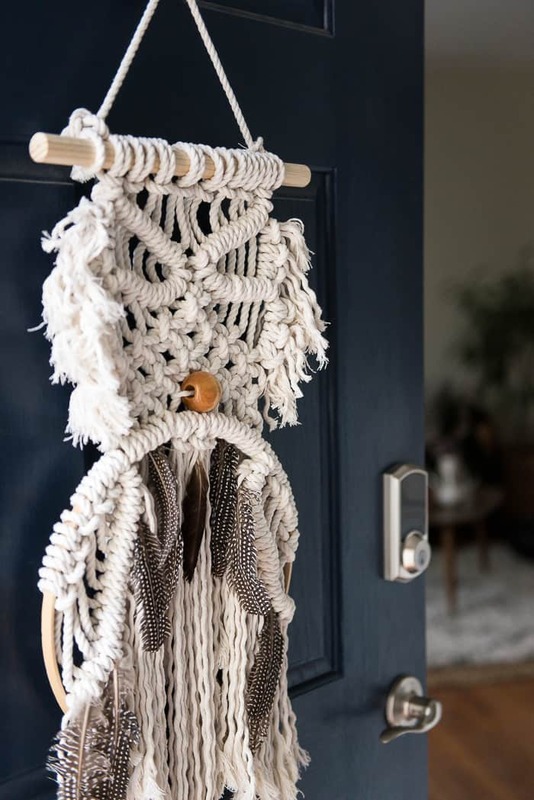 If you would like to give macrame a go, here is a quick macrame tutorial. But if you are not up for it, be sure to contact me, and I will make you a stunning piece! 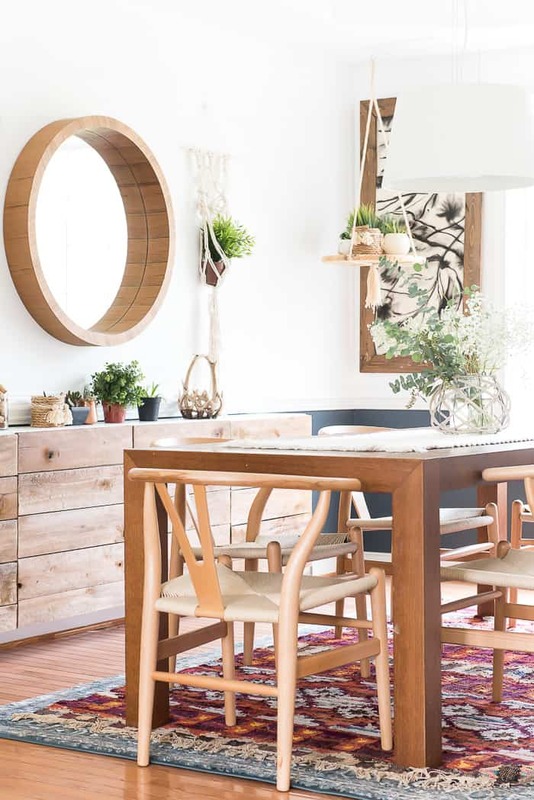 My dining room got a mini facelift right before Christmas with a beautiful flat white paint and it still going strong on my favorite’s list. 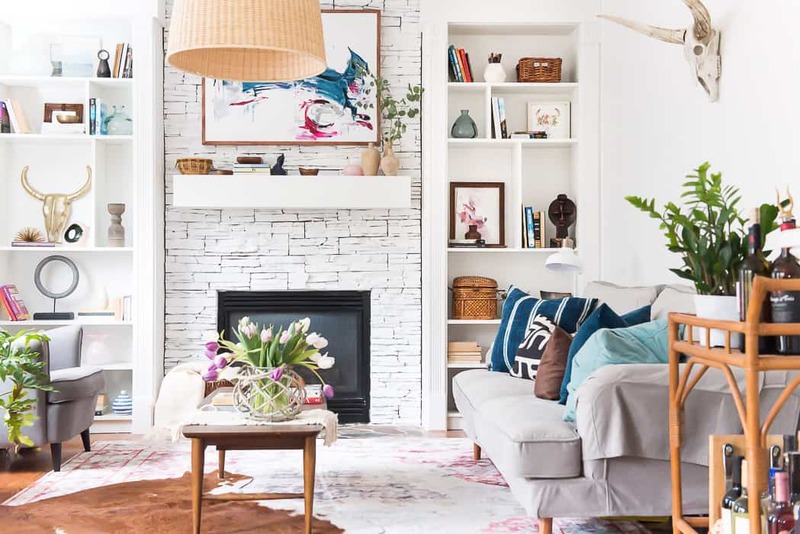 And my beautiful, fresh and bright family room. 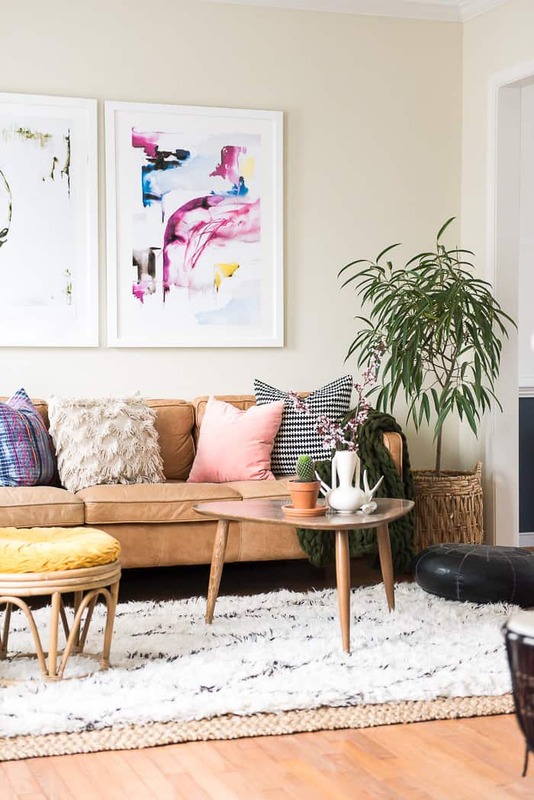 I added that big canvas and I think it’s just the perfect addition for Spring. I love the strawberry and blue color combo so much. 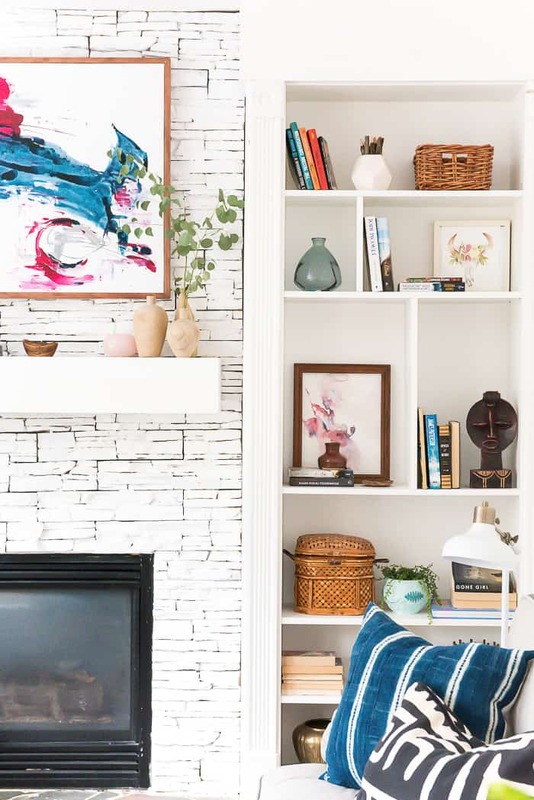 I hope you loved this short but colorful home tour. Now, head on and visit The Tidy Mom. She is super fun!! 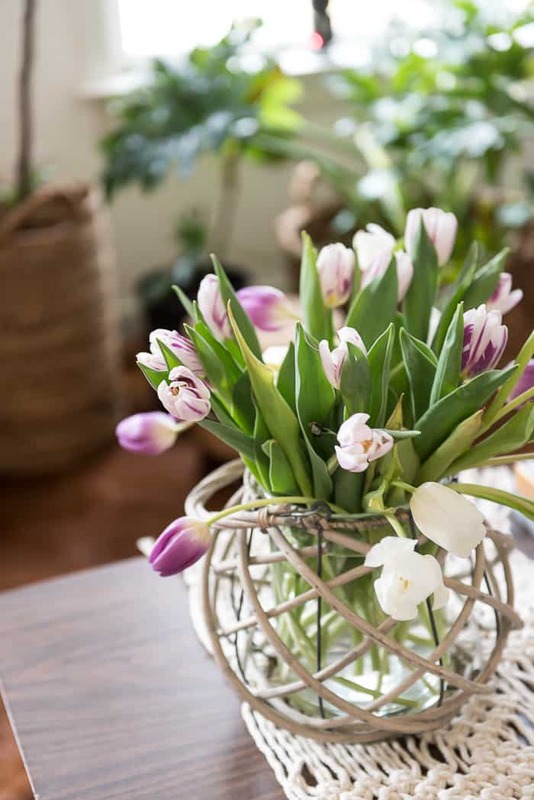 This week you can visit many other fabulous homes dressed up for Spring. Be sure to go through the lineup! Love. Every. Detail, Aniko! Gorgeous as always. 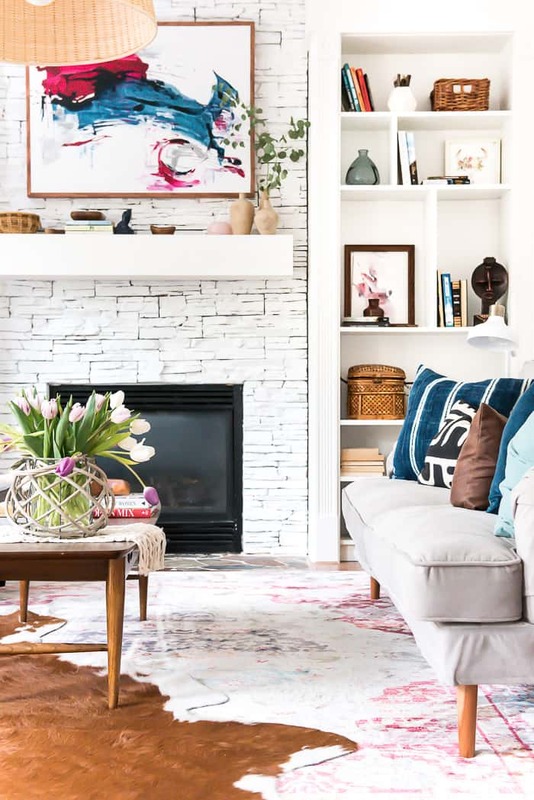 love the colors in your family room! 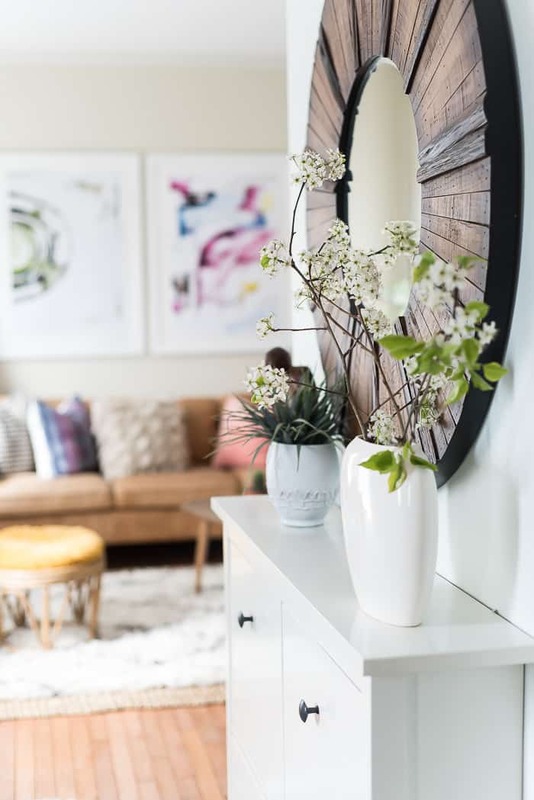 your home is always so pretty, aniko! Aniko your eclectic mix is spot on. 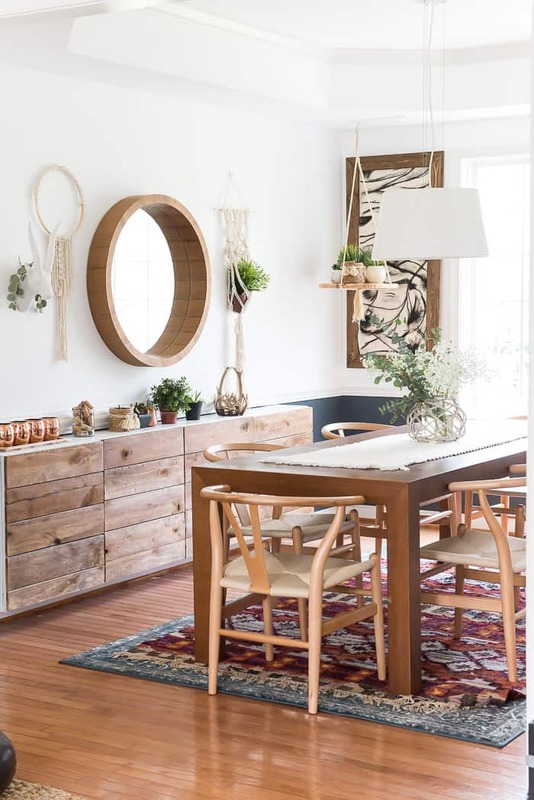 I love all the wood tones mixed with white and jewel colors, I can see your hand at work in every space and it’s gorgeous. Wow, Aniko. Your artistic skills always astound me! 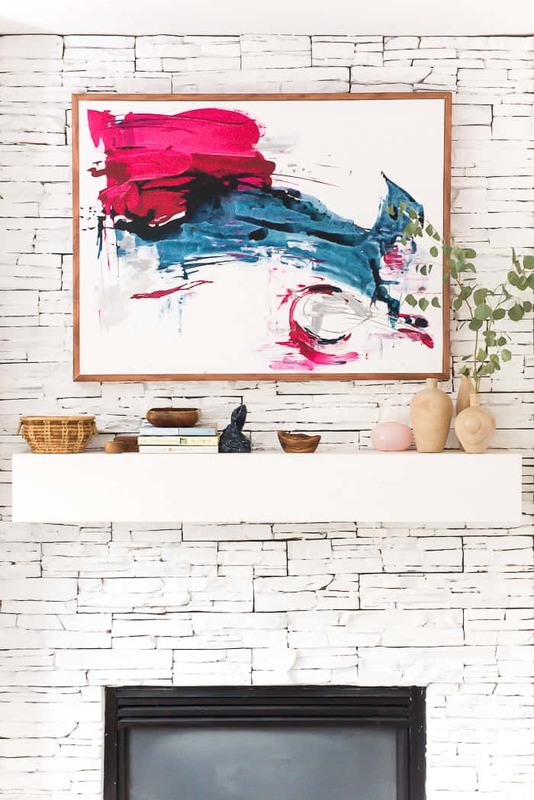 I love your artwork throughout your home; and the colourful eclectic feel of your space is absolutely perfect. Incredible styling and photography, friend! 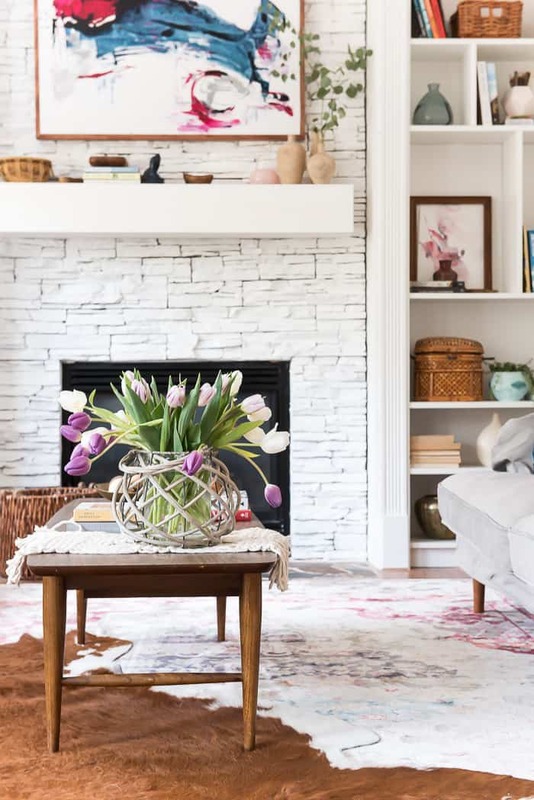 What a gorgeous spring home tour! I am always in awe of your photography – what a gift you have! I took your photography class at Haven, and it was so helpful. your style always blows me away Aniko. Just gorgeous, as always! 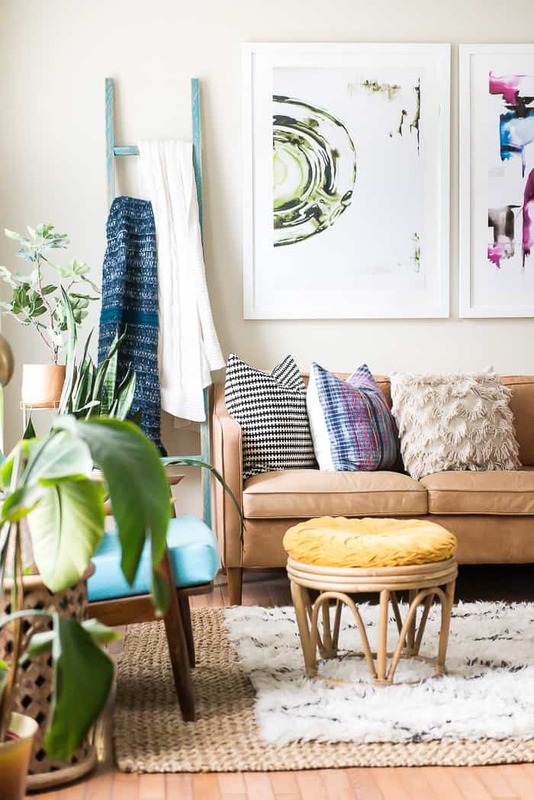 Aniko, I love to see the evolution of your eclectic style! 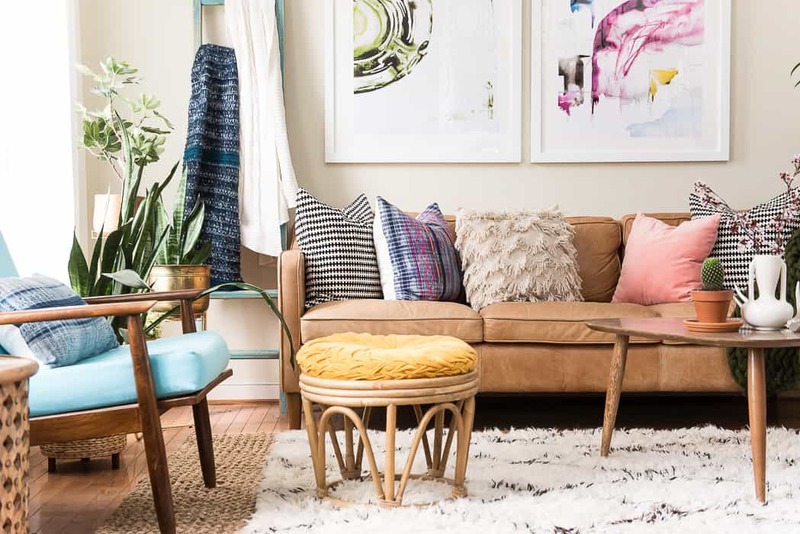 I’m loving the layers of texture and color you have in every single shot! Gorgeous, my friend! So so good! Your photography and art pieces and every single freakin detail. You always amaze me my friend. hello! I love the rug in your living room. I clicked on the picture to see where it was from but it just takes me to pinterest. would love to know the source? !